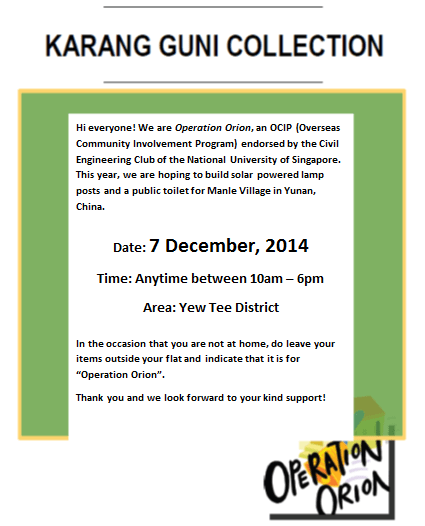 To continue our fund raising efforts, Operation Orion 2014 is organizing a second Karang Guni Collection Day on 7th December, 2014!!! We would be revisiting the friendly Yew Tee district to do door-to-door collection of recyclables from the residents. Residents would be receiving the following flyer on the 4th of December, 2014.  For this event to be a success, we need as much help as possible! We are hoping to reach out to more volunteers to assist us in the collection and classification of recyclables. Hence, volunteer recruitment will be extended to the overall school community and CIP hours will be awarded!